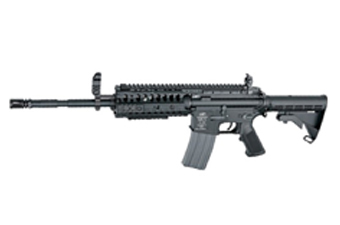 Two well known firearms and accessory manufactures have joined forces to create this beauty of a Proline Airsoft AEG. 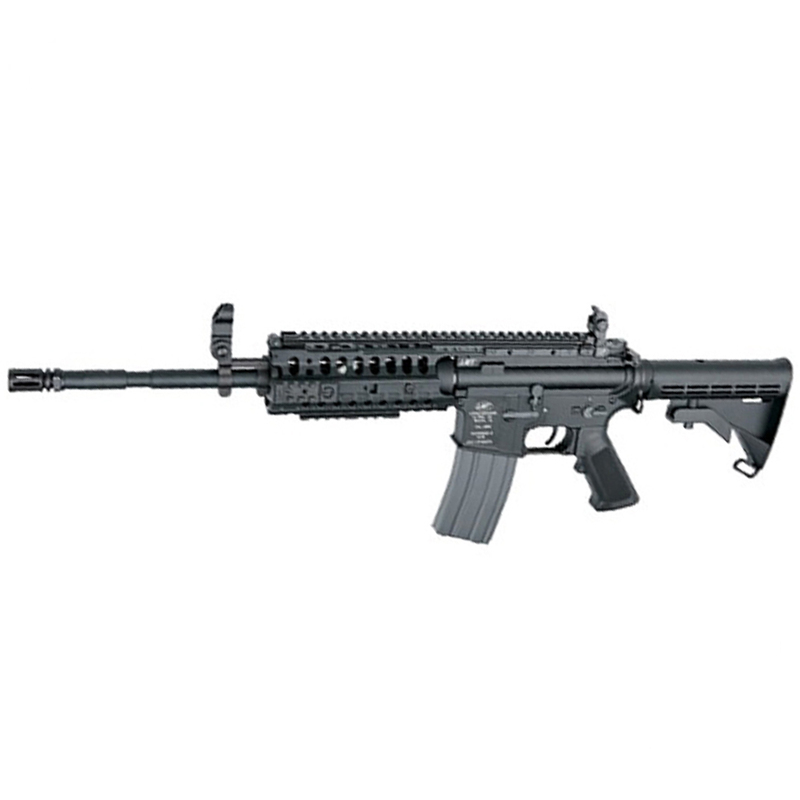 The full metal Defender4 Carbine licensed by LMT upgraded with the S.I.R. rail system licensed by A.R.M.S.. A Selective Integrated Rail system (S.I.R.) offers a wide variety of options to mount tactical accessories. Quick and handy flip-up iron sights are mounted on the S.I.R. Strong and well built with what is probably one of the best out-of-the-box gearboxes, heavy reinforced with 8 and 9 mm bearings, steel gears, and ball-bearing spring-guide as well as an upgraded cylinder set. It can handle Li-Po batteries and shoots 1.5 joule (120m/s/394 fps) in semi- and full-auto mode with Easily adjustable Hop-Up.